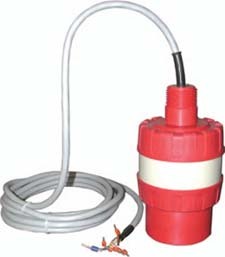 The Intempco LTU01 i-sonic™ is an intelligent liquid level transmitter measuring by a non-contacting ultrasonic principle. It is available in two measuring ranges (6m and 10m) and has a scalable 4-20mA output and a programmable relay. Calibration is performed via simple touch magnet programming using supplied special magnet. The LTU01 i-sonic™ ultrasonic transducers, with very high efficiency, narrow beams and wide frequency bandwidth, work in many conditions over wide temperature ranges. With the help of sophisticated digital processing they eliminate unwanted echoes from tank walls, standpipes and many other build-ups. One of the major features of the LTU01 i-sonic™ is its one-piece molded Polypropylene housing construction. It is hermetically sealed to IP68 ingress protection which means that it can be submerged under water for indefinite period of time. Outside installations under rain, snow and ice conditions are possible with no further protection. It can be used in all non-combustible liquid level applications compatible with Polypropylene housing material.